Online advertising has been split between two major options – Facebook or Google Ads. Most advertisers spend money on at least one of these platforms. Success varies and depends on multiple factors. While the two companies offer very similar solutions, there are some core significant differences which advertisers must know about. I am in no way an advocate of any of the two platforms, I have been using both of them for my own promotions as well as for clients. They are both tremendously powerful tools and we can easily use them together. The following few points will help you understand better how they work and where the catches are. Both Facebook and Google have massive audience of active users which you can target with ads. But remember, they own other platforms, too. Facebook has Instagram and Google has YouTube, Google Maps, Blogger, Google Play, Android, Chrome, Gmail and others. This is where a difference in the targeting approach comes from. Google claims that they have much more rounded view of a user’s genuine interest, because they see how they behave on different platforms. Where Facebook can make targeting based on declared interests – pages and pictures you like or engage with, Google can do this based on your real intent. Audience types like Custom Intent or In-Market Segment are Google’s solutions for advertisers who are targeting lower funnel users ready for action. Facebook also has audiences based on interests, but they tend to be extracted from their activity on Facebook and Instagram. In the past Facebook was using a lot of partnerships with data companies to extract information for audiences. However after the last year of data and privacy scandals, they stopped many of them. This resulted in the sunset of some audiences like income, political interest and ethnicity segments. When it comes to targeting Facebook has one very strong advantage – their users are always logged in. This makes it very easy to use solutions like Custom Audiences – uploading lists of third party data(emails, phones, etc.) and targeting them at scale. With Google Display this is not possible, but can be done on Gmail, YouTube and Google Search. Both, Google and Facebook are very strong on automation opportunities. With few clicks you can let them auto-target, bid and even make creatives for you. However there is one main difference – Facebook does this by default. When you create a Facebook business page, you are bombarded of notifications and previews trying to get you spend money to advertise. With a few clicks you can easily spend a few dollars and boost a post. Your ad automatically runs on Facebook, Instagram and Messenger. Post boosting is a fully automated campaign in Facebook, where they take control of your bidding trying to get you as many interactions or views as possible. Google does not auto-enroll you in automated campaigns. On the contrary, when you create a Google campaign, you have the choice to run it manually or select smart bidding, for example. To run an ad on YouTube, Gmail and Google Display, until recently you had to create different formats and launch three different campaigns. With new campaign types like Smart Shopping, Smart Display or Local Campaigns, Google offers more simple, cleaner solution which allows advertisers with no prior experience create fully automated campaigns across all Google’s main platforms. Some small changes in Google’s interface also gradually move it to a more automated platform. Which brings me to my next point – Facebook’s interface is really friendly for people who have never done any paid ads before. The smooth transition from a Business Page to boosted post, the easy navigation with sliders – all makes it seem much more simple. This interface is customizable, but you must really dig deeper to find the hidden features. Whereas Google gives the advertiser a sea of options and settings. This makes the interface difficult and confusing for a newbie. If you start using more advanced features of Facebook, then you will have to use the Ad Manager, which is very similar to the Google Ads website. Last year Google AdWords was rebranded to Google Ads with the launch of a simplified, faster interface. Right now both Facebook Ad Manager and Google Ads look very similar, which makes it easy for a new advertiser. Conversion tracking is one of the toughest and most important difference between both platforms. By default Google tracks only the conversions which happened after an ad click. To add the conversions which happened after someone viewed an ad and did not click on it, but went to the website later you need a separate column(View-Through Conversions) which is hidden by default. If you want to see all of the conversions, you must add a column called All Conversions. Facebook includes all conversions in one column by default. You have to really dig deeper to find the separate numbers from click and view conversions. This makes the initial number of conversions higher and therefore the cost per conversion lower. If you compare it to Google most often you will see a big difference in the conversion number and average cost. Google and Facebook measure views in a completely different way, which can be hugely misleading. Google uses the industry standard measurement for viewability. This means that at least 50% of the ad pixels must be displayed to the user on focus for more than one consecutive minute for an image or more than 2 minutes for a video. Facebook measures a view when any number of pixels form the ad (more than zero) is on the screen for any amount of time. This is obviously a big difference and can lead to a lot of misinterpretations. Facebook is working on a new model to measure viewability, but at the moment while I am writing it every scroll by an ad is measured as a view. Knowing these differences and how to both platforms work is crucial in order to make informed decisions. 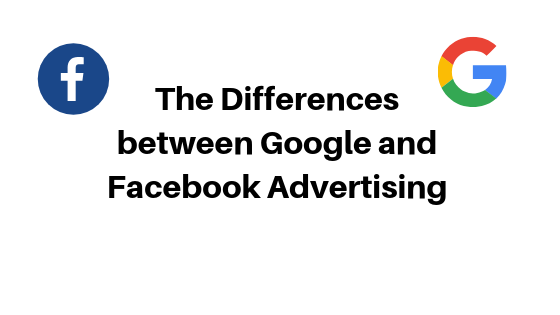 However more than 90% of advertisers are not aware of these differences. This causes massive confusion and can lead to unnecessary mistakes and bad judgement. This entry was posted in Google Adwords, PPC and tagged attribution, Facebook, google display network.